A destination straight out of a sci-fi movie, Dubai is a tourism place that can impress anyone. The futuristic style buildings; the cutting-edge facilities and services; the cultural dynamism; and the deep-rooted Islamic traditions make Dubai a place to be amongst the top sightseeing places in the world. However, Dubai is a paradise for luxury seekers, the city of Emirates is home to some of the finest hotels including the Atlantis and the Burj Al-Arab that redefine luxury in every way. Dubai offers world’s best malls that are replete with international brands catering to the taste of each luxury shopper. Need a cab to drive for sighting the best places to visit in Dubai or in the nearby capital city, Abu Dhabi? You can book from a Volvo to Mercedes as per your choice. Dubai is also a vacation destination for creatures of the night as the city after the dark dresses for some fun time. 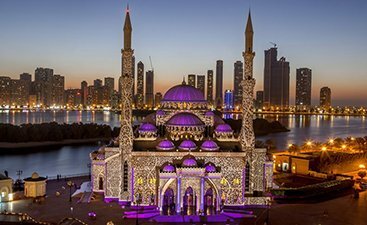 From dance temples to rooftop terraces and from beach clubs to cocktail caverns and concerts, Dubai travel guide for party animals does not let them get bored. 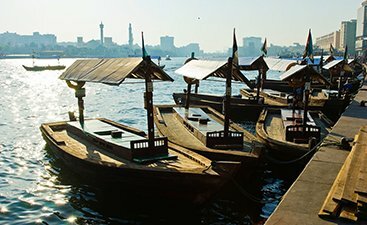 Put all this aside, and move on to the other side of Dubai, the city then takes you on a ride to quaint Souks, a Creek that has imposing history to flaunt and the museums and mosques that beckon that the ancient traditions of the Arabs still dominate the city despite its modern approach. Dubai is perfect to plan a family vacation with kids, there is plenty for each member to enjoy, right from dining to amusement parks to swimming with the dolphins, the fun never ends. 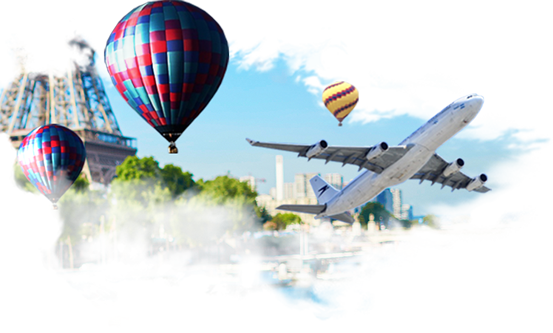 On the other hand, the destination is also perfect to plan a honeymoon as it has plenty of things to do that couples can do together along with tour activities that can fill their days with memories. There is plethora on offer for adventure seekers and skydiving above the Palm Jumeirah is amongst the most adrenaline rushing ones. 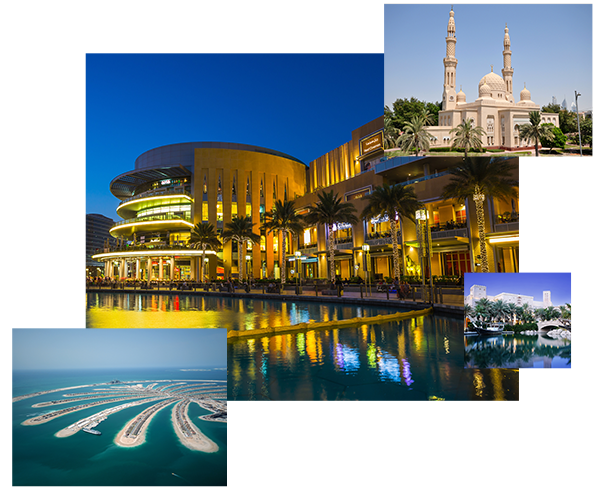 Dubai indeed has something for everyone of every age, so plan your trip with our best tour packages and experience a holiday unlike any other. No trip to Dubai is ever complete without taking an iconic Desert safari. Tourists can also camp overnight in the desert & experience belly dancing, fire show, barbeque and so much more. From swanky malls to traditional souks, Dubai is one of the best destinations in the world to shop in and of course, Dubai shopping festival is famous for a reason! With skydiving, deep sea diving, snorkeling, dune bashing, bungee jumping and a lot more, Dubai is the best place to be for all the adventure junkies. Foodie or not Dubai is the best place to explore Emeriti, Arabian and Iranian cuisine. Soak in your tastebuds in luscious flavors and titillating aroma. 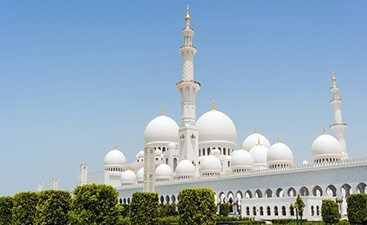 Revolving around Islam, Dubai has a rich cultural heritage that will take you back in time. 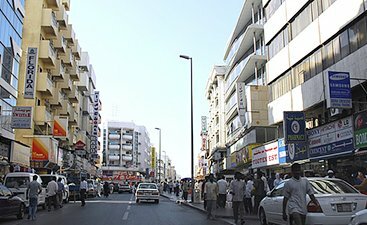 Take out time to explore Arabian market & have once in a lifetime kind of experience. 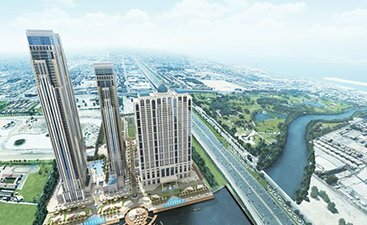 Dubai promises various opportunities to play golf. Invest your free time at Dubai’s world-class golf courses with friends on the leisurely weekend or try your hand at the professional game. Famous for its gulfs and deserts, Dubai is also known for its theme parks where kids and adults can have fun together. UAE offers visa on arrival for 30 days to the citizen of selected countries. There is a 90 days non-extendable visa available for the citizens for several countries, whereas, the citizens of GCC countries do not require visa or sponsors to visit UAE. 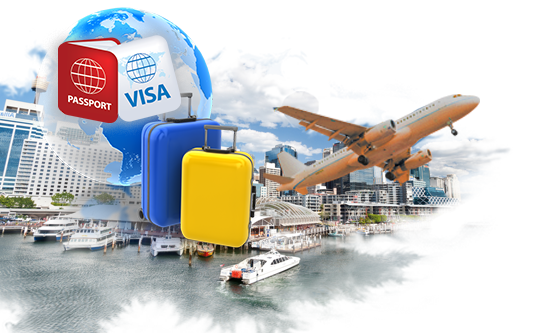 Read to get details of Dubai Visa. 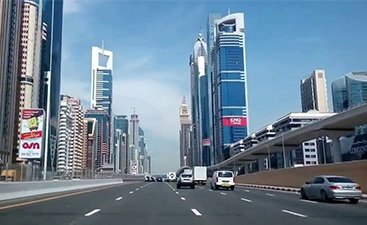 The best time to visit Dubai is between November and March. Ideally, the winter season in Dubai when the temperature becomes tolerable to be outside in the sun for longer. It is also the time when the city organizes the famed Shopping Festival.